In stock -This product will ship today if ordered within the next 1 hours and 4 minutes. 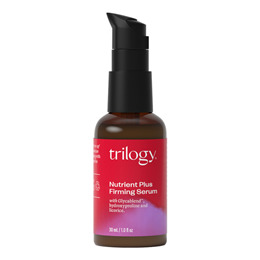 Trilogy Age Proof Nutrient Plus Firming Serum is a fresh, light serum designed to instantly lift and brighten your complexion. It gently firms, lifts and restores a more radiant complexion. It is a fresh, light serum designed to instantly lift and brighten your complexion. Licorice and Mulberry extracts boost your skin`s radiance and Hyaluronic Acid, nature`s `moisture magnet`, helps restore firmer, more radiant skin. Nourishing plant lipids from Avocado, Evening Primrose and Sunflower oils soften and protect your skin while vital antioxidant vitamins A and E fight the damaging effects of environmental elements. A must for special occasions to energise and brighten your skin. 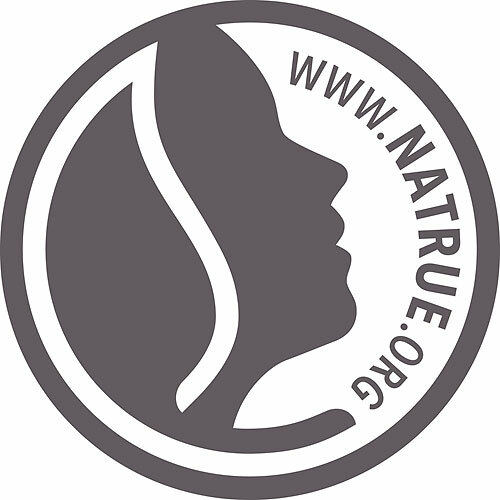 AGE PROOF your skin naturally. 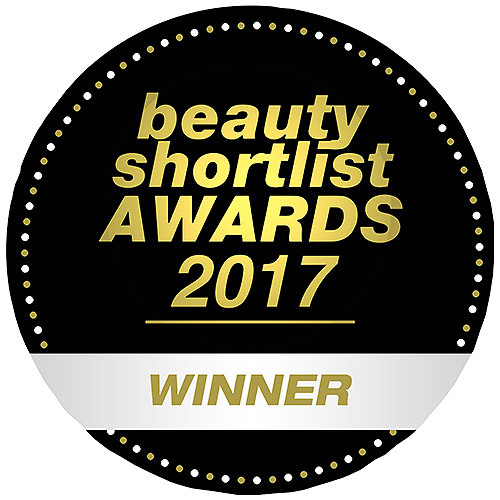 Free from: Parabens, mineral oils, SLS and harsh surfactants, artificial colours and fragrances, animal derived ingredients (except honey and bees wax), synthetic fillers. Trilogy Age Proof is a natural skincare range that protects skin from the first signs of ageing and as your skin matures. HOW AGE PROOF PRODUCTS DIFFER FROM THE REST OF THE TRILOGY RANGE? Age Proof products contain unique formulations of high performing natural actives, which are different to those in the rest of the Trilogy range and designed specifically to help skin achieve its best complexion from the first signs of ageing and as it matures. Trilogy Age Proof products can be complimented by other Trilogy products to complete your skincare regime particularly: Cream Cleanser, Hydrating Mist Toner, Eye Contour Cream, Gentle Facial Exfoliant, CoQ10 Booster Capsules. Aqua (water), Aloe barbadensis (aloe vera) leaf juice, Xanthan Gum, Dipalmitoyl Hydroxyproline, Glycyrrhiza glabra (licorice) root extract, Morus alba (mulberry) root extract, Cucumis sativus (cucumber) fruit extract, Chamomilla recutita matricaria (chamomile) flower extract, Althaea officinalis (marshmallow) root extract, Salvia hispanica (chia) seed oil, Vaccinium myrtillus (blueberry) seed oil, Fragaria vesca (strawberry) seed oil, Punica granatum (pomegranate) seed oil, Sclerocarya birrea (marula) seed oil, Helianthus annuus (sunflower) seed oil, Oenothera biennis (evening primrose) seed oil, Olea europaea (olive) fruit oil, Persea gratissima (avocado) oil, Calendula officinalis flower extract (and) Glycine soja (soybean) oil, Sodium Hyaluronate (hyaluronic acid), Camellia sinensis (green tea) leaf extract, Euterpe Oleracea (Acai) fruit oil (and) Tocopherol, Tocopheryl Acetate (vitamin E), Citric Acid, Dehydroacetic Acid (and) Benzyl Alcohol, Parfum, citronellol*, limonene*, linalool*. For best results use before AGE PROOF day and/or night creams. 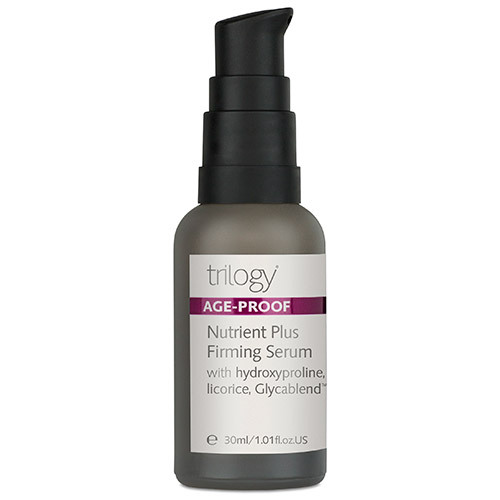 Below are reviews of Trilogy Age Proof Nutrient Plus Firming Serum - 30ml by bodykind customers. If you have tried this product we'd love to hear what you think so please leave a review. Nothing special, cannot see any difference, was expecting miracles but I think my expectations were too high. I bought on special offer.